Matangi is one of the ten Mahavidyas. Matangi is the Goddess of the spoken word and supernatural power. Matangi represent ferocious aspect of Devi, the Hindu Divine Mother. 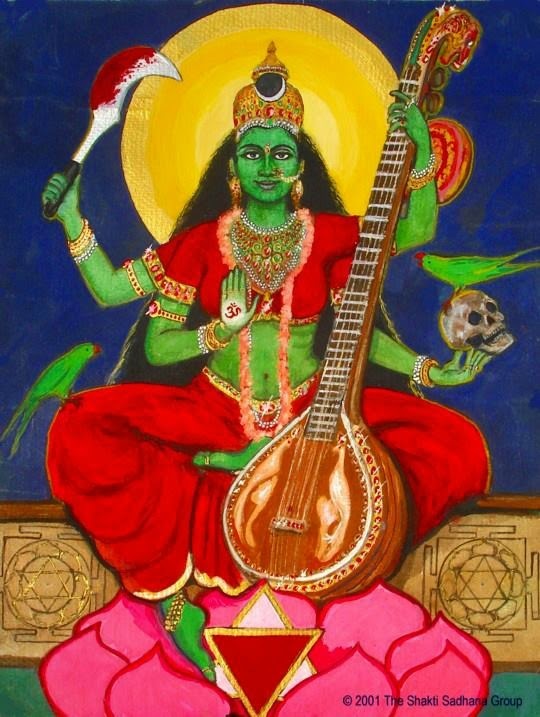 Matangi is the dark one, a tantric form of Saraswati. Matangi governs speech, music, knowledge and the arts. Matangi is incarnated as the daughter of Matanga Rishi. Matangi is worshipped to acquire supernatural powers, especially gaining control over enemies, attracting people, acquiring mastery over the arts and gaining supreme knowledge. Matangi is invoked to achieve command over speech, creativity and knowledge. Matangi is described as giver of siddhis. (Supernatural powers), a rescuer from all troubles. Matangi is a granter of all desires and rewards, including ultimate knowledge and moksha (salvation).